Dotonbori, Glico Runner, Osaka. Photo: Kosuke Arakawa (www.kosukearakawa.com). Image©www.thingstodot.com. Osaka is the second biggest city in Japan after Tokyo. It lies in the Kansai region of central Japan and is also the capital of Osaka prefecture. It is famous for street food and is also known as the nations's kitchen or tenka no daidokoro. Kuiadore, a Japanese word that means 'to eat till you drop' is often used to describe the food obsession of the people of Osaka. Besides food, Osaka is also known for its world class shopping malls and arcades. I spent the last part of my three week trip to Japan in Osaka. Initially I was going to stay in Osaka for two nights only but after traveling in Japan for about two weeks, staying at budget Airbnb homes and lugging my heavy suitcases everywhere, I changed plans and decided to treat myself to some luxury at the Imperial Hotel in Osaka where I stayed for 5 days before flying out from the Kansai International Airport. Here are some of the things I did while I was in Osaka. Dotonbori in Osaka is the city's biggest tourist destination. It is a popular nightlife and entertainment district. It runs along the Dotonbori canal and is filled with shops, restaurants and large illuminated signboards that characterize the quirky atmosphere of the area. 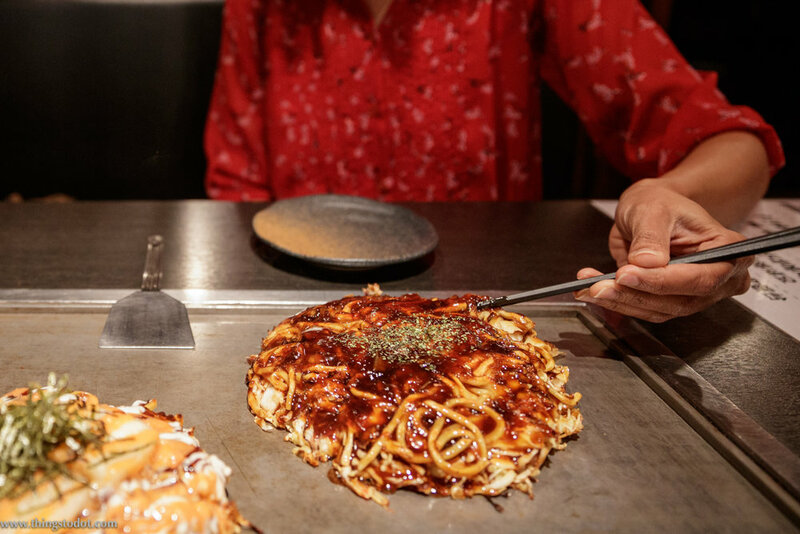 It is very famous for street food including okonomiyaki and takoyaki, the two famous Japanese fast food dishes that originated in Osaka. Read my post on 'Street food in Dotonbori'. Dotonbori, Okonomiyaki, Osaka. Photo: Kosuke Arakawa (www.kosukearakawa.com). Image©www.thingstodot.com. Dotonbori, Osaka. Photo: Kosuke Arakawa (www.kosukearakawa.com). Image©www.thingstodot.com. One of the area's most prominent features is a billboard for a confectionery company called Glico. It displays the image of a runner crossing a finishing line. It is an icon of Osaka in Japan. Tourists throng here in large numbers to get their pictures clicked with the billboard! Shinsaibashi is the city's main shopping area filled with high-end stores, fashion boutiques and casual wear shops like Uniqlo. At its center is Shinsaibashi-suji which is a covered shopping street north of Dōtonbori. Close to Shinsaibashi is Amerika-mura, an American-themed shopping area and center of Osaka's youth culture. Shinsaibashi can be easily reached by the underground. Since I am a Uniqlo fan, I updated my wardrobe with a lot of casual wear pieces that I bought tax-free from their store in Shinsaibashi. I had also visited their store in Umeda and the Kansai International Airport but I found the store in Shinsaibashi the best in terms of variety. They have a separate tax-free counter and the queues can be relentless unless you go there early morning as soon as the store opens. If you are in Tokyo, you might prefer visiting Uniqlo in Ginza, the biggest Uniqlo in the world! Shinsaibashi, Uniqlo, Osaka. Photo: Gunjan Virk. Image©www.thingstodot.com. The Osaka Castle is one of Japan's most famous landmarks and probably one of the most visited sites by tourists in Osaka. The castle which is more of a museum is open to tourists for a fee, however the best views of the castle are enjoyed from the castle grounds. Nara can easily be done as a day trip from Osaka. It takes about an hour by train from the JR Osaka Station to reach Nara. It is famous for the Nara Park where deer roam freely and the Todai-ji Temple that has the world's largest gilded bronze Buddha. A day trip is sufficient to see the most important sights in the city. As it is a very famous tourist destination it can get very crowded. I went there with the early morning train to beat the tourist rush! I don't recommend doing Kyoto as a day trip from Osaka, even though it can be done. Kyoto is so beautiful with its ancient temples and rich history that spending a few days there becomes indispensable. 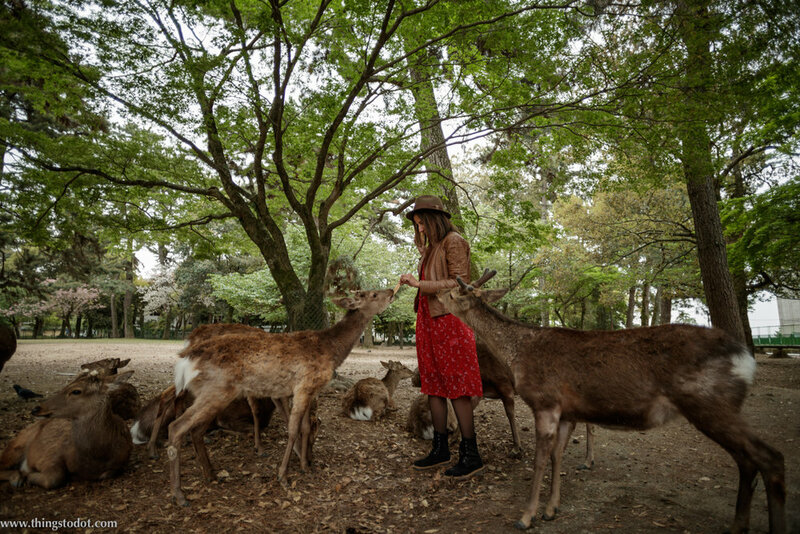 Read my post on 'Day trip to Nara from Osaka'. Also, read my post on '15 best things to do in Kyoto'. Nara deer park, Nara. Photo: Kosuke Arakawa (www.kosukearakawa.com). Image©www.thingstodot.com. The Imperial Hotel in Osaka is one of the leading luxury hotels of the world. 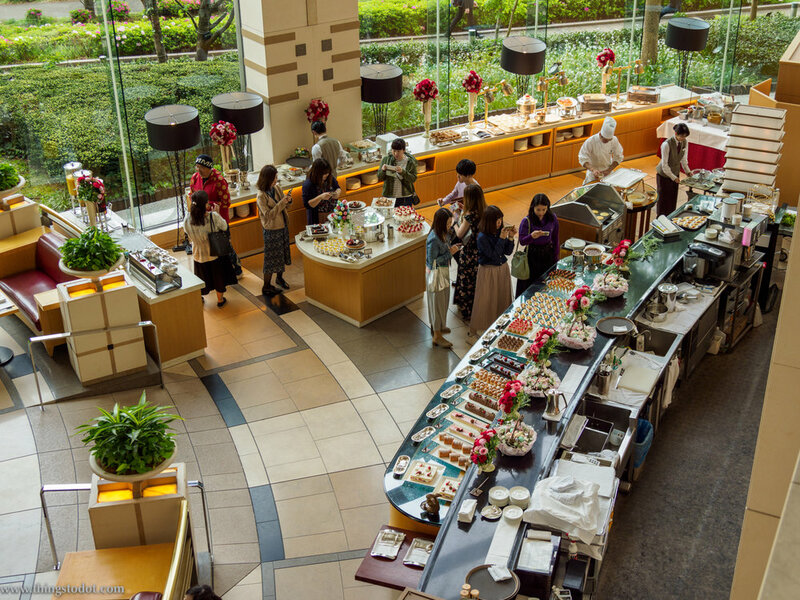 It has various dining options from all day casual dining to restaurants serving Japanese and French cuisines. 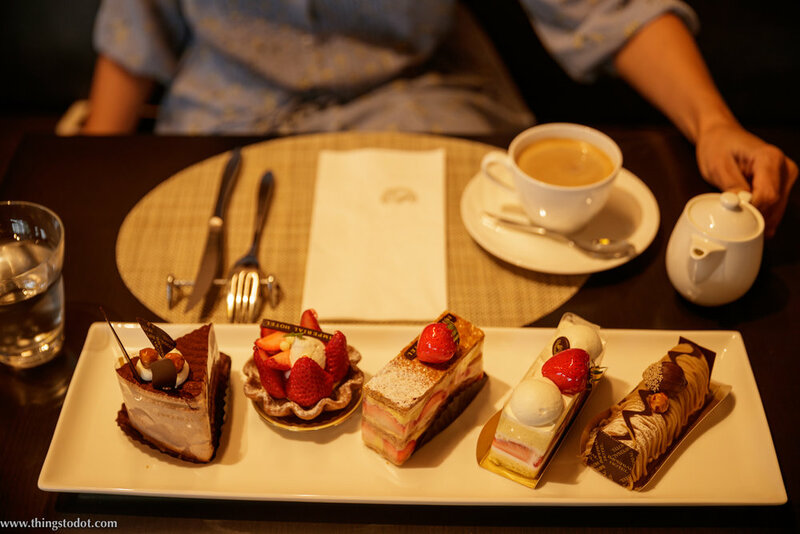 My favorite is the afternoon tea served with a delicious array of desserts at the hotel's buffet and lounge, The Park. It is a good place to enjoy true Japanese luxury. During the cherry blossom season, a walk to Mint Japan from the hotel is a must-do. It boasts about 300 cherry trees and is one of the most important sakura viewing spots in Osaka. Read my post on the 'Imperial Hotel, Osaka: Review of one of the world's leading luxury hotels'. Imperial Hotel Osaka, Afternoon tea. Photo: Gunjan Virk. Image©www.thingstodot.com. Imperial Hotel Osaka, Afternoon tea. Photo: Kosuke Arakawa (www.kosukearakawa.com). Image©www.thingstodot.com.